It’s hard to open any of the local newspapers without seeing advertisements from real estate agents. In almost every ad you will see agents claiming to be “excellent” negotiators. From what I have seen in San Carlos, some are truly excellent negotiators….others leave something to be desired. This is not a post regarding my skills as a negotiator. The only ones able to comment intelligently on that subject would be my past clients. Rather, this is an article that may give buyers and sellers some insight into their current real estate positions. Harvard Law School runs a program called the “Program On Negotiation” or “PON.” The program stresses the same criteria as my former supervising partner: The more knowledge you have, the better your chance at a successful negotiation. So, how do these guidelines translate to San Carlos real estate? First, start with the understanding that whether you are a buyer or seller, you want as much information as possible regarding the other side in the proposed transaction. You want to know what items are important and unimportant to the other side. Just a few of the traditional possibilities are as follows: (1) best and final price, (2) proposed close of escrow date, (3) as-is sale, (4) contingencies such as the buyer selling their home prior to purchasing their next home. It is common for most agents to ask the opposing agent for their client’s stance on these issues prior to drafting an offer. Unfortunately, sometimes these basic questions are never asked. In today’s market I would suggest that the questions need to be more probing. For instance, (1) is seller-financing available, (2) is the buyer pre-approved with two banks, (3) can the buyer document the source of the down payment, (4) is the seller interested in a lease-option, (5) is the seller willing to cover some of the closing costs, etc. I have always found it good practice to tell the opposing agent a little bit about my clients. If the agent is on their game they will ask the appropriate questions. The more information the two sides have about each other, the more comfortable they will be moving forward. Asking the right questions during these conversations can give you a better picture of the true wants and needs of the other side. It’s a bit like putting a puzzle together. The more information you can extract from the other side, the more filled in the puzzle becomes. Once the information has been gathered, a strategy can be put in place. Don’t be afraid to walk away if the final offer is not where you and your agent believe it should be. I have advised my clients to walk on several occassions. I would say that about 50% of the time the other side does come back and ask to re-negotiate. My other piece of advice is that if you feel rushed or that the other side is controlling 100% of the negotiation, call for a 48 hour timeout. Very few good decisions are made under high stress. In today’s market, information gathering, common sense and the ability to think outside the box are all crucial elements to a successful negotiation. 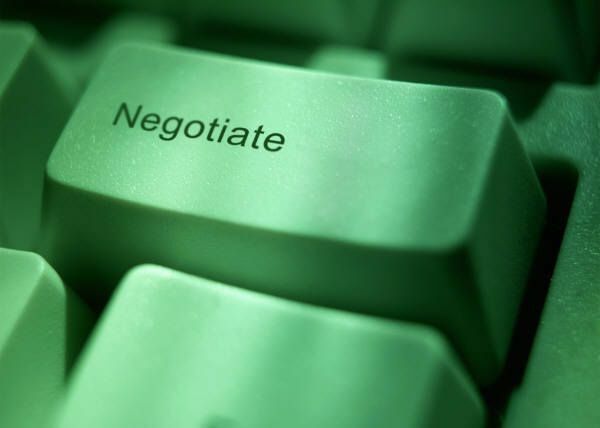 Understanding and implementing a strateg focused on all three of these elements will help you become an “excellent” negotiator.